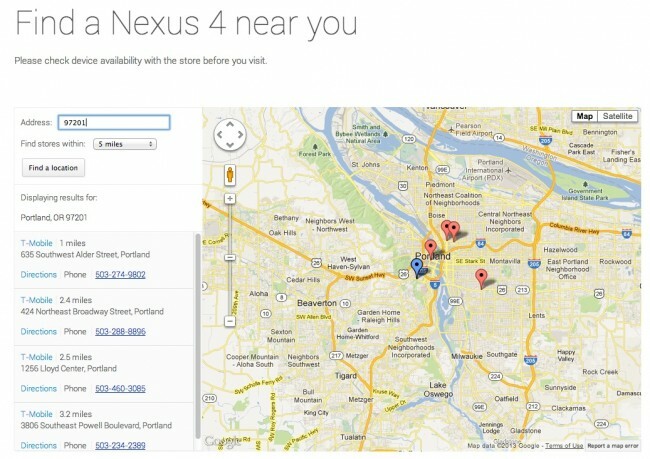 Not that finding a Nexus 4 is as difficult as it once was, but Google still wants the process to be simple, especially for those who want to buy the phone in person, rather than via Google Play. 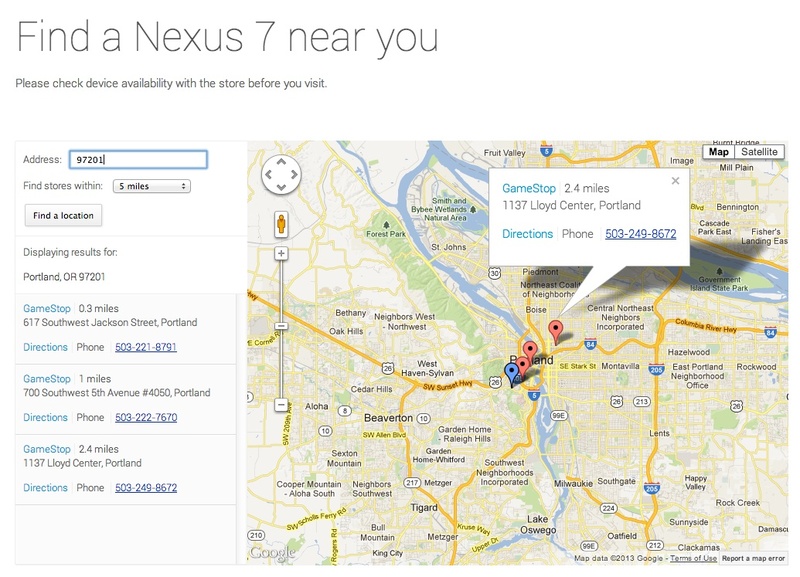 Through their newly launched Nexus Store Locator, users can search for both the Nexus 4 and Nexus 7, to find stores nearby. 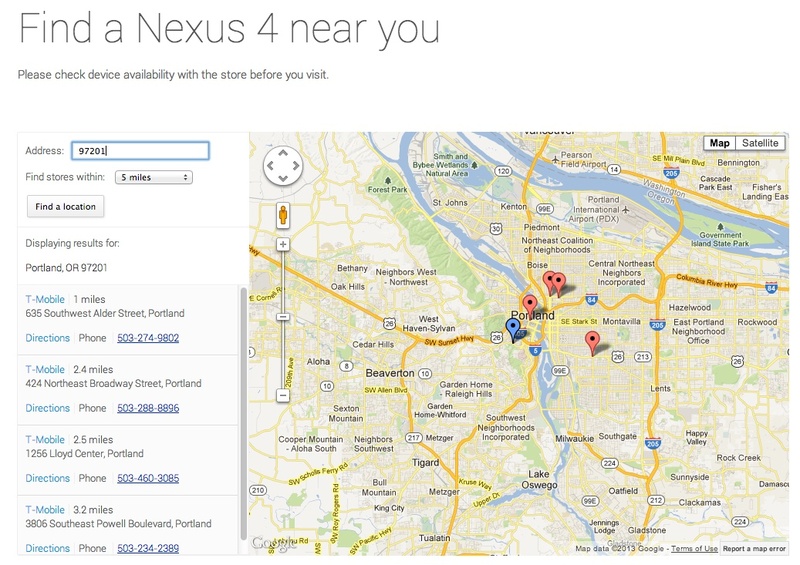 As one would expect, the Nexus 4 finder will only list T-Mobile stores for now, since that’s the only retailer currently selling the phone. For the Nexus 7, I came up with a bunch of Gamestop stores, though the device is available at other electronics dealers.